Show your love of nature on by wearing it on your sleeve, or in this case since it’s an all-wood watch, on your wrist. Philly-based Analog Watch Co.’s line of mostly biodegradable wooden watches is a perfect compliment to your au natural side and will keep you in sync with nature. Both the watch face and even the strap are made from wood and for every watch bought, the company will in turn plant a new tree. After a lot of creative thinking, designing and testing, Philadelphia’s Analog Watch Co. came up with their all-wooden watches. Making the watch face out of wood wasn’t so challenging, but coming up with a flexible wooden wrist band proved to be more difficult. Their line of Carpenter Watches features the first ever soft and flexible wooden strap, which is made from lumber off cuts. 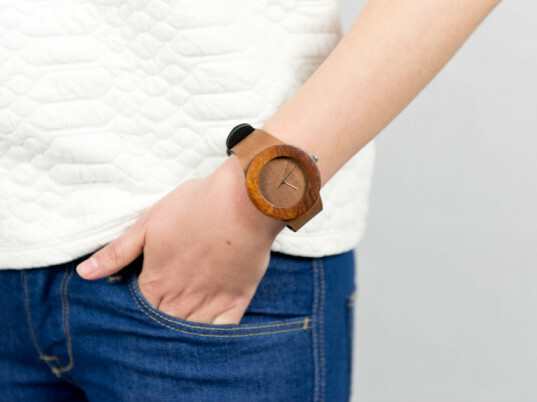 Analog’s line of wooden watches are gender neutral and subtle with a style that is meant to remind you of nature. 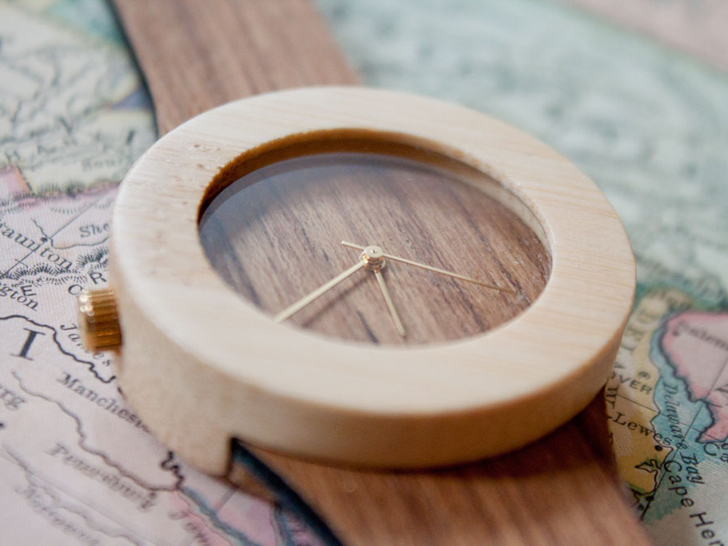 The hand built watches are 80% biodegradable, put together with natural adhesives and shipped in recycled packaging. Choose from the Makore and Red Sanders, a Teak and Bamboo, Silverheart and Maple, or a Leather and Blackwood watch starting from $149 each. And every time someone buys an Analog watch, the company works with a partner organization to plant a tree. Show your love of nature on by wearing it on your sleeve, or in this case since it's an all-wood watch, on your wrist. Philly-based Analog Watch Co.'s line of mostly biodegradable wooden watches is a perfect compliment to your au natural side and will keep you in sync with nature. Both the watch face and even the strap are made from wood and for every watch bought, the company will in turn plant a new tree.